Pentair Technical Products announces the new fully-featured Hoffman™ brand MAXRACK™ high-density rack, designed to offer high static load capacity while providing thermal and cable management capabilities in a single solution. Pentair Technical Products announces the new fully-featured Hoffman™ brand MAXRACK™ high-density rack, designed to offer high static load capacity while providing thermal and cable management capabilities in a single solution. 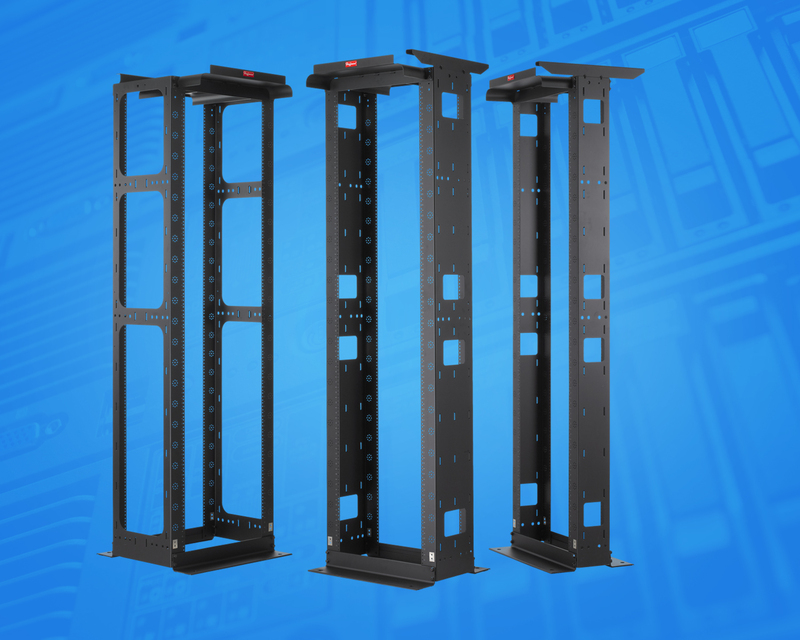 Used for mounting, housing and protecting 19- or 23-inch rack equipment, MAXRACK ships flat to deliver off-the-shelf convenience and easy, in-the-field assembly to meet diverse application requirements. 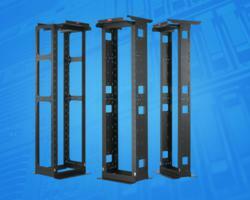 MAXRACK effectively organizes and protects cabling to ensure optimal network performance. The rack features internal channel cable tie-down points to aesthetically secure cables while avoiding stress points, and the large side openings accommodate through-rack cable passage. Further, to maintain proper bend radius and easy organization of network cables, MAXRACK also includes internal and external cable arcs, with front cable arcs used for patch cords and internal cable arcs ideal for permanent link cables. Constructed for durability and versatility, MAXRACK’s high static load capacity, up to 2,500 pounds, makes it an ideal solution for high-density equipment applications. Containing a star hole pattern throughout, as well as perpendicular and parallel ladder rack and basket tray mounting holes, MAXRACK accommodates various cable management accessories to support growing network needs. Plus, to suit individual networking requirements, the racks can be ganged together to form row configurations and vertical cable managers can be added between units. Further, the rack is compatible with both Hoffman CABLETEK cable management systems and other similar cable management products, enabling it to adapt to existing network equipment. Along with cable management, the MAXRACK is also designed to maximize airflow of network switches. With its integrated air baffle, which directs the intake and exhaust of air for aisle-vented equipment, and vertical cable manager accessories, the rack is able to accommodate network thermal management needs. This combination allows the rack to comply with operational requirements on CISCO Catalyst 6509/6513, Nexus 7018 and other large core, cross airflow switches. Pentair Technical Products, a Pentair global business unit, is the leading provider of worldwide product and service solutions for enclosing, protecting and cooling electrical and electronic systems. Its industry-leading brands—Hoffman™, Schroff™ and McLean™ Cooling Technology—provide a broad variety of standard, modified and engineered solutions to the commercial, communications, energy, general electronics, industrial, infrastructure, medical, and security and defense markets. For more information, visit http://www.hoffmanonline.com or contact Pentair Technical Products at 2100 Hoffman Way, Anoka, MN 55303. Pentair (http://www.pentair.com) is a global diversified industrial company headquartered in Minneapolis, Minnesota. Its Water Group is a global leader in providing innovative products and systems used worldwide in the movement, treatment, storage and enjoyment of water. Pentair’s Technical Products Group is a leader in the global enclosures and thermal management markets, designing and manufacturing thermal management products and standard, modified, and custom enclosures that protect sensitive electronics and the people that use them. With 2010 revenues of $3.0 billion, Pentair employs over 15,000 people worldwide. Media Contact: Next Communications. Phone: 952-934-8220. Email: pr(at)nextcom(dot)com.